G came home from work and was happy to see that I had made gyoza for dinner. 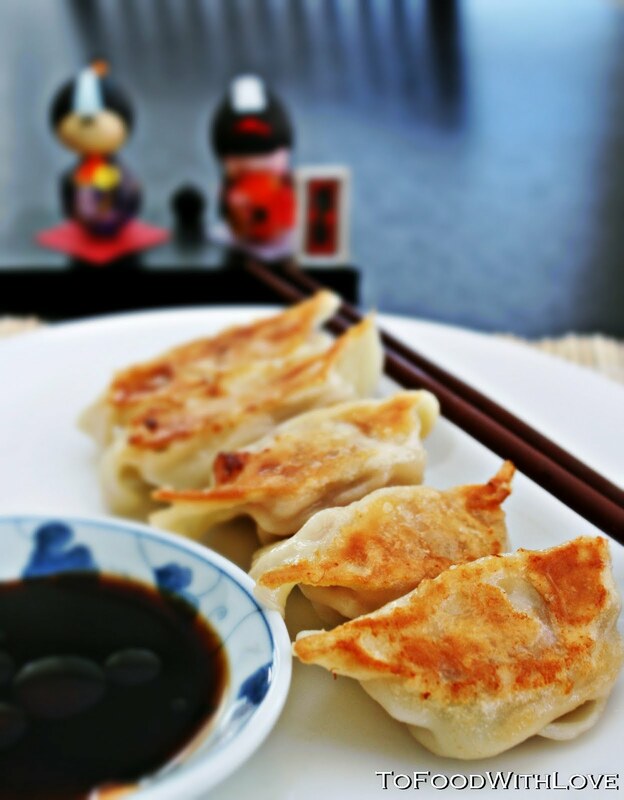 He asked what inspired me to do so (because I don't make dumplings very often) and I told him it was Rasa Malaysia, where I saw pictures of some delectable-looking gyozas and couldn't resist making them. 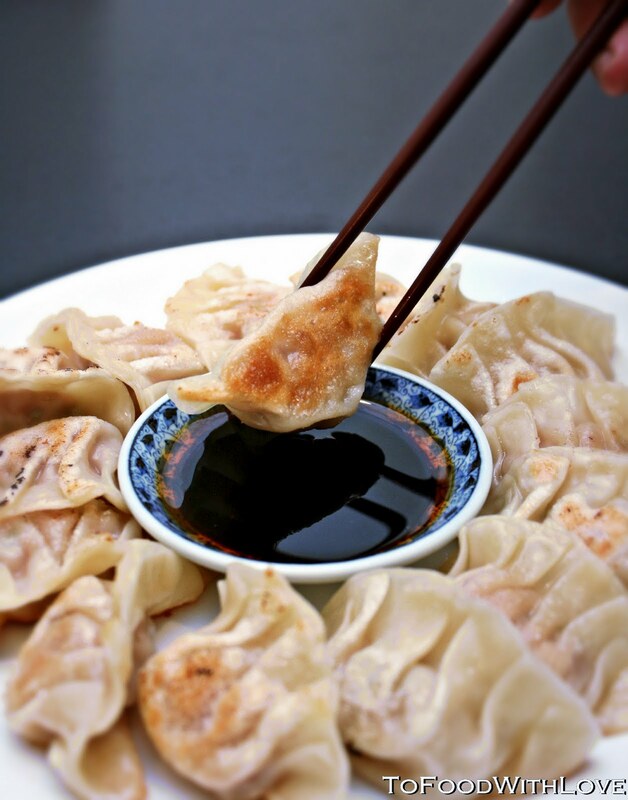 Making dumplings are quite therapeutic, and the more you make, the more efficient you get and the nicer they look. It's like origami, just edible. The filling is made from pork mince, chinese cabbage, spring onions, ginger and garlic, seasoned with soy (I used Bonito soy sauce that I found at the Asian grocery), sake, sugar, sesame oil, salt and pepper. For the dipping sauce, I used soy sauce, Chinkiang black vinegar, sesame oil and chilli oil. The dumplings are super easy to make (using ready-made gow gee wrappers of course), and they are pan-fried, steamed with a little water, and then browned again once the water evaporates. They have a lovely chewy and crisp texture, and the pleats/folds in the skin are perfect for catching the tangy dipping sauce. I made extra, so I popped the rest in the freezer for a rainy day. So much better than buying frozen ones from the supermarket, and they are so easy to prepare! I will definitely be making many more of these in future! What a lucky guy G was to come home to pot stickers for dinner. I don't make them often either. But when I do we enjoy eating them so much! No, don't defrost it. Cook them from frozen. Some of mine were also stuck together, so I just put the whole thing in the pan. Otherwise, next time after you make your gyozas, freeze them separately on a tray and pack them in freezer bags after they're frozen. That way, they won't stick so much. Hi, may i know where to get potsticker skin in hypermarket? I tried to look around but couldn't find it..